Where can I find a Spirit Halloween coupon? Valpak.com is the place to get the latest Spirit Halloween coupons where you can save on costumes, Halloween masks, accessories and decorations. With your discount, you’ll pay a lot less than you would at a costume store. Where can I find Fortnite costumes? At Spirit Halloween, Fortnite costumes are going to be extremely popular this year. Look for kids and adult costumes featuring favorites like Skull Trooper, Dark Voyager, Black Knight, Brite Bomber, Crackshot and more. How can I find a Spirit Halloween near me? Select the Find a Store link on their website for the location of a Spirit Halloween store in your area. But remember, you can always shop online and have your order delivered to your door. What Halloween costumes are expected to be popular this year? Halloween 2018 brings some great costumes this year, including re-boots. Look for Hocus Pocus, Overwatch, The Incredibles 2, Nightmare Before Christmas, Riverdale, Fortnite and Black Panther costumes to fly off the shelf. Superheroes and super villains will be highly sought-after, as well, especially Ant-Man, Wonder Woman, Shuri, Dora Milaje, Venom and Iron Man – along with all of the classics. When is Halloween? Halloween is on Wednesday, October 31, 2018. Look to Spirit Halloween for all your costume and decorating needs. Sign up for email and save! Get 20% off a single item when you join the Spirit Halloween email list. Then you’ll receive exclusive promotions throughout the year. Look for gift card giveaways. They’ll sometimes have contests where you can win prizes such as Spirit Halloween gift cards. Browse their website and enter to win! 14 days for returns. They'll refund your money if you return unworn merchandise within fourteen days of your delivery. Shipping charges are not refundable. Note that online returns must be postmarked by October 21st during Halloween season. Shipping is flat rate plus $1 per pound. Delivery of your merchandise starts at a flat rate of $4.99, with an additional $1 for each pound thereafter. Look for a promo code that offers free shipping, or do the math on any offer to determine how you can save the most. Shop by character and save time. Their easy-to-use website allows you to browse by character so that you can quickly find the costumes you are looking for. Looking for a vampire, pirate, Dr. Seuss or french maid costume? Just click on the character you’re interested in and see all that’s available. Enter this coupon code at checkout to get 20% discount on 1 item. Restrictions may apply. Click this link to get free shipping on orders over $60. Restrictions may apply. Enter this coupon code at checkout to get $10 discount on orders over $65, $20 discount on orders over $100, $30 discount on orders over $150, $50 discount on orders over $200. Restrictions may apply. Click this link to shop kids' costumes. Restrictions may apply. Click this link to get up to 80% discount on select sale items. Restrictions may apply. Click this link to get 20% discount on all orders with Spirit Halloween newsletter sign up. Restrictions may apply. 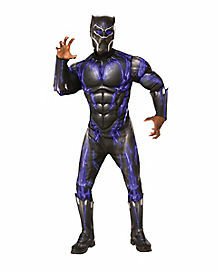 Click this link to shop adult costumes. Restrictions may apply.